Nothing seems real to me now until it's been youtubed on a cellphone camera; that special mix of artifacty shadows, blown highlights and uncanny detail everywhere else signifies the zenith of media-era simulated authenticity. Elliott's there, though, and it's terrifying! 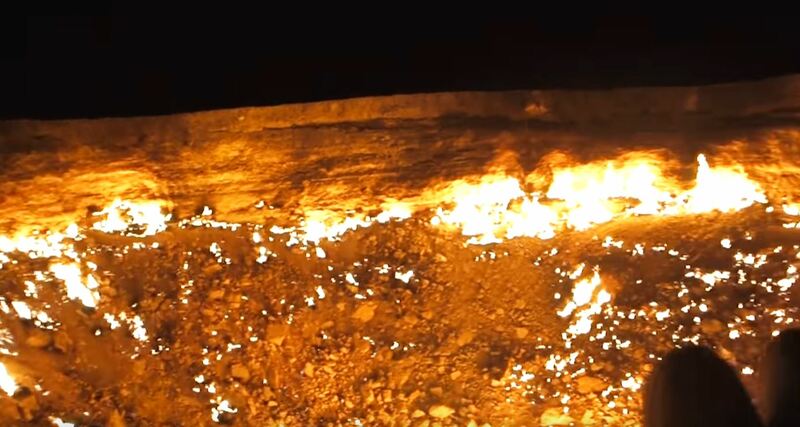 It's 4am in the centre of Turkmenistan's Karakum Desert, I'm sitting on the rim to what could be described as the world's largest campfire -- known locally as the 'Door to Hell', or officially as Darvaza Gas Crater.